We manufacture a high range of Ciare with quality materials which have a long durability and high effective. We offer these products at different sizes and shapes. These are easily fitted and activated. Our products are available with passive or active limits built into them. We provide these products at competitive prices at international standard. They are available with various superior features. These products are available in various models to meet the choices or preferences of various clients. We make use of premium quality material and latest technology to provide our customers Ciare Components NDH Series satisfactory product. These components have high efficiency design and optimum service. We offer them at reasonable rates as per clients’ needs. 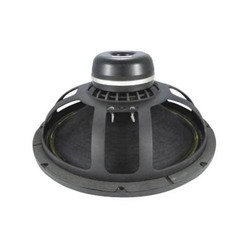 They have examined magnet circuit for enhanced heat intemperance, 100 mm voice coil, copper wire and outstanding performance. Looking for Ciare Sound Equipment ?